The people of Milford seem to be one determined bunch. Consider, for example, the Riverwalk project. A clean and sweet piece of urban design, it weaves up, down, hither, and yon along the banks of the Mispillion River as it winds through downtown Milford and beyond, stretching from pretty Silver Lake on one end to the start of a nature walk on Goat Island on the other. The vision for this project dates clear back to 1974, a time when the decline in old-school manufacturing jobs was just starting to take a toll in so many towns on Delmarva and across the country. One of the first steps Milford took back then toward its Riverwalk future was to buy up the aforementioned Goat Island, an eight-acre swath of land that was serving in those years as a trash-strewn hangout for teens looking to cause a bit of trouble. Real, shovel-in-ground work on Riverwalk wouldn’t begin for nearly two decades, until 1991. From there the walkway took shape in piecemeal fashion, coming together only as this or that bit of money surfaced. There were 23 different construction intervals in all. Finally, in 2014, the town held an event in declaring the Riverwalk finished at last. Fittingly, given the way it all unfolded, it was that first-in-line Goat Island parcel that turned out to be the very last piece of the puzzle to fit into place. The nature trail there is named after Gary L. Emory, the indefatigable Parks & Rec director who spent much of his career toiling to turn that 1974 vision into reality. While wandering downtown Milford, you will see that the long and winding road to Riverwalk’s completion was worth it. The project is a key reason why the town is on the upswing nowadays, with new residents rolling in, new visitors finding their way from the highway, and new businesses springing up in once-derelict old buildings. You can see the optimism and excitement for yourself at one of Milford’s annual parties, where Riverwalk is generally front and center. There is the welcome-to-spring Bug & Bud Festival in April, with its 100-plus vendors set up along the promenade, and there is the patriotic-themed Freedom Festival every September. Another event to watch out for is the community parade in October. Milford likes to brag that it becomes the second-largest city in Delaware that night, drawing some 40,000 people for the occasion. One recent parade had more than 150 entries, including 20 bands and 16 fire companies. Milford gets its name from a water-powered sawmill that operated hereabouts in the late 1600s. By the time a town was incorporated in 1807, the Mispillion River was already on the way to becoming a shipbuilding center for southern Delaware. Seven different shipyards operated in downtown Milford in the 1800s, mostly clustered on the south bank of the river between Washington and Marshall streets. Riverwalk runs right through that area today, with signage here and there telling the story of the Shipyard Area Historic District. The industry thrived well into the 20th century, faltering only after the last of the towering white oaks that once dominated the nearby countryside got cut down in the 1920s. World War II brought a brief flurry of hope and activity to the old shipyards, but the decline only deepened in the decades that followed the war. Historians estimate that six-hundred-and-some wooden sailing ships were built in Milford over the centuries. Perhaps the best known of the bunch was the Albert F. Paul, built in 1917 and now regarded as perhaps the last of the great commercial schooners. The Paul was a behemoth, clocking in at 147 feet long. 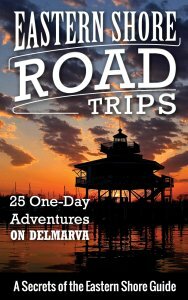 It made more than 100 trips up and down the East Coast in her lifetime, none more memorable than her first voyage, which lasted through a full month of high tides as she inched her way between downtown Milford and the Delaware Bay. The vessel’s final journey was a tragic affair—the Paul disappeared in waters near the Bahamas one day in 1942. No one knew for sure what had happened until after the war, when German records revealed she had been sunk by a U-Boat. 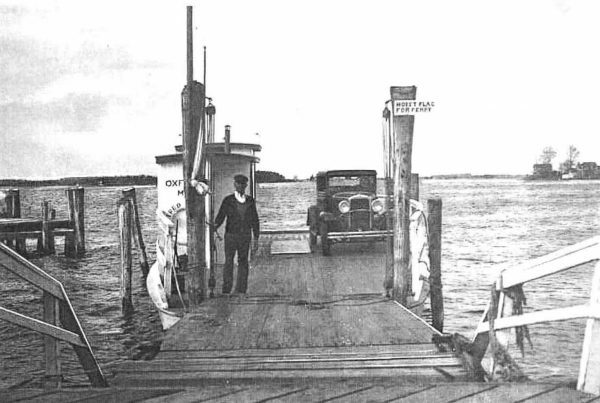 Another famous Milford vessel was the Augusta, a 47-foot power yacht built in 1927 that came to symbolize the very best that Milford had to offer when it came to styling and craftsmanship. On my most recent visit to town, there was a fun public art project running, with 20 or so little fiberglass models of the Augusta, all gussied up in vibrant colors and images reflecting whimsical themes. You will see while wandering downtown Milford why the arts won such prominent billing. A functioning stained-glass studio and a woodworking shop add a bit of old-school authenticity to the mix of more familiar artist studios and galleries. Milford is home to the Second Street Players, a venerable community theater troupe. I love the fact that here in the 21st center there is a Milford Community Band still doing twentysome shows a year. This outfit dates back only to 1990, but its let’s-put-on-a-show spirit qualifies in my mind as a true throwback to the days when every little backroads burg on Delmarva boasted its own musical outfit. You can dip a toe into local history at the Milford Museum, housed in a sweet old post-office building in the middle of downtown. Afterward, you will find a decent array of gift boutiques and antiques shops downtown, along with plenty of dining options. Abbott’s Grill, where the kitchen prides itself on a local-ingredients-come-first approach, is probably the best restaurant in town. If you need to satisfy your sweet tooth, keep an eye out for the bakery called Dolce. If you’re in search of traditional Delmarva fare in an old-school setting full of local old timers, find your way to the venerable Milford Diner out near the highway at 1042 North Walnut Street. On the local-beer front, Mispillion Brewing has a tasting room and offers regular brewery tours on the outskirts of town on—I am not kidding about this—a street called Mullet Run. The countryside around Milford has lots of interesting diversions, especially for outdoors lovers. Three miles southwest of town, the Abbott’s Mill Nature Center has hiking trails and a little exhibit area centered on a 200-plus-year-old mill. Seven miles east of town, on the Delaware Bay, the DuPont Nature Center is a first-rate little museum focused on the natural history and ecology of the area. 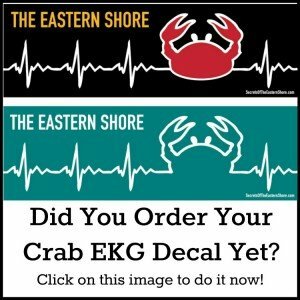 Come springtime, the center focuses its programming on one of the great natural wonders of Delmarva—the spawning of the horseshoe crabs and the arrival of a gazillion shore birds eager to dine on their eggs. 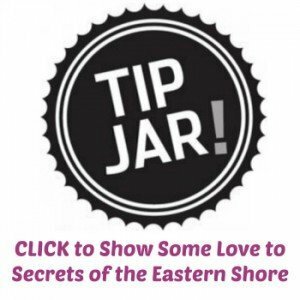 –if you enjoy reading these pieces, it would be swell of you to put a little something in the tip jar or do a little shopping in the Shore Store. Next PostQUOTE OF THE DAY: The Cape Charles Milkman Remembers-"That Horse's Name Was Frank"